What has a thousand fins, a million teeth, and comes in a cardboard box? 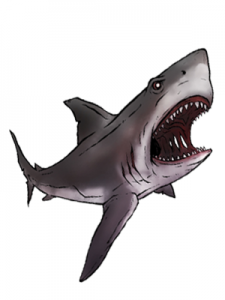 The answer: The SharknadoTM tabletop game… coming to a table near you from yours truly, Devious Devices! 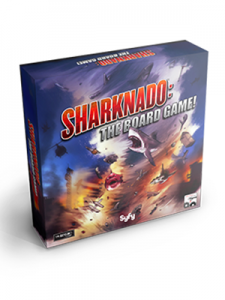 The officially licensed tabletop game of the cult-hit franchise, Sharknado™: The Board Game! 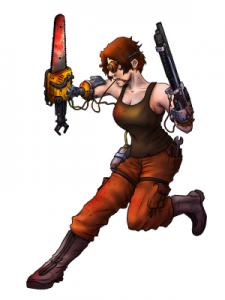 is a cooperative, scenario-based game for 2 to 4 players, ages 15 and up. Players assume the roles of brave citizens of a coastal city, working together to battle hordes of man-eating sharks as they attempt to thwart the ultimate weather phenomenon! Your team will try to maintain order in your city while you strive to fulfill the win conditions of a specific scenario. 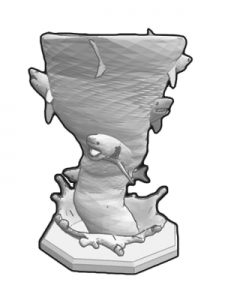 This might be to destroy a Sharknado, to kill a certain number of sharks, or even to simply survive as long as you can. You’ll do this using various weapons and equipment to fight off swarms of sharks as you struggle to stay alive. If too many characters die or you fail the scenario, the game ends in defeat! So are you going to be the hero of this story, or are you going to be just another victim of the most bizarre catastrophe the world has ever seen? 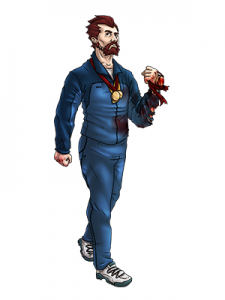 Are you going to survive and become a legend, or succumb and become the contents of a shark’s stomach? 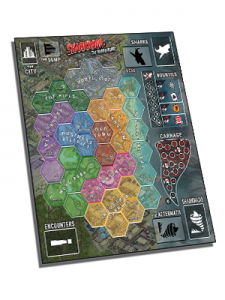 SharknadoTM: The Board Game! debuted on Kickstarter in August 2017. Funding was cancelled so we could take back requests from backers and fans alike to deliver an even better game to you. Look for it to rear its toothy head again soon! Sharknado is a registered trademark and copyright of The Global Asylum Inc. Syfy is a trademark of Universal Studios. Licensed by Syfy Ventures 2016. All Rights Reserved.